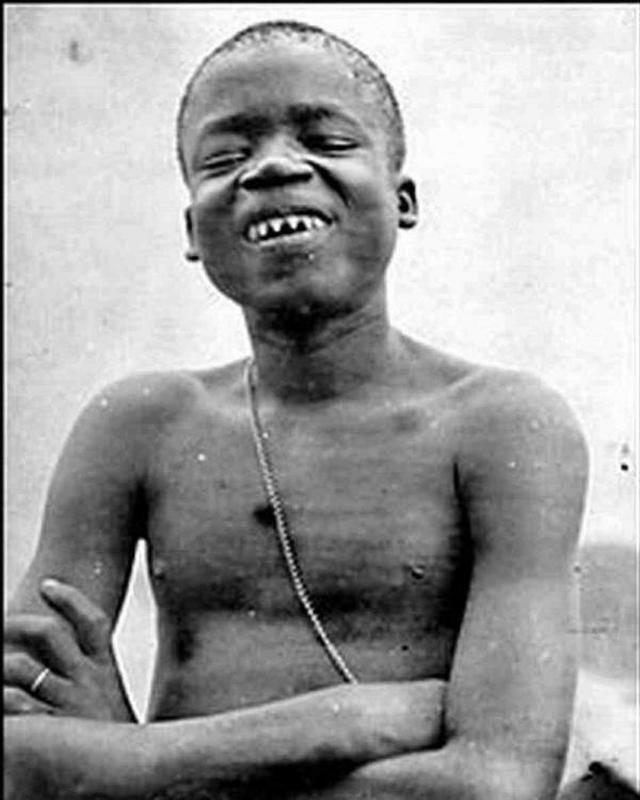 On March 20, 1916, 32-year-old Ota Benga shot himself in the heart while being held against his will in the United States. Benga’s short, tragic life was outlined by colonial avarice justified by the quack science of eugenics. Despite being subjected to the most degrading treatment imaginable, he did what he could to keep his dignity intact. His story, like far too many tragedies, begins in the Congo, then known as the Congo Free State — an area equal in size to Alaska and Texas combined. The country now known as the Democratic Republic of Congo used to be a big blank spot on the map. Exploration was nearly impossible due to dense rainforest and an unnavigable river. But in the late 19th century, King Leopold II of Belgium decided he’d quite like to own the land and its vast rubber resources. He commissioned a several expeditions to the region to map the terrain and get a feel for what the place was worth. Though the new colony was to be called the Congo Free State — there was nothing free about it. It became the personal property of King Leopold II. 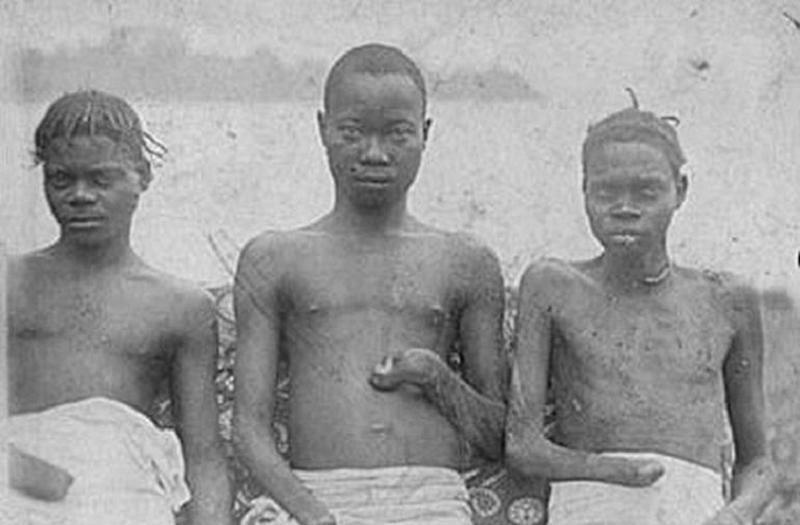 Under the administration of Leopold’s overseers, whippings, amputations, forced labor and mass killings became the norm in the Belgian Congo. The situation got so bad that even the other colonial powers got concerned about the way people were treated in the territory. Britain launched an official investigation in 1903 that paved the way to some reforms. But ultimately, historical estimates say that about 10 million Congolese were killed under King Leopold's reign. Benga was born in the Ituri Forest, in the extreme northeast of the colony. His people, the Mbuti Pygmies, lived in loose bands of family groups of between 15 and 20 people, always moving from one temporary village or camp to the next depending on hunting seasons. Benga married young and had two children. Perhaps someday he was destined to lead a band himself, like the Mbuti had done for thousands of years. When he was still a teenager, the eastern Congo erupted into a war - it was raided by the Arab slavers, and invaded by the Force Publique. The Force Publique was originally formed to enforce rubber quotas and beat complainers with hippopotamus-hide whips. Like many colonial militias, they were corrupt: they raped and murdered villagers, even collecting severed hands and heads. Sometime in the late 1890s, Force Publique “soldiers” found Benga’s family camp and killed the entire family. He was out hunting at the time, so his life was spared. Without his family, he had the choice of wandering alone until he died, or seeking out a new family group and asking them to take him on as a helper. However, aside from dying or joining a new family, fate tossed Benga a third option. Shortly after losing his family, he was picked up by slave traders and dragged him out of the forest, which had been the only home he had ever known. They put him to work as a laborer in an agricultural village. It was there, in 1904, that Benga was discovered by Samuel Verner, an American businessman and amateur explorer. 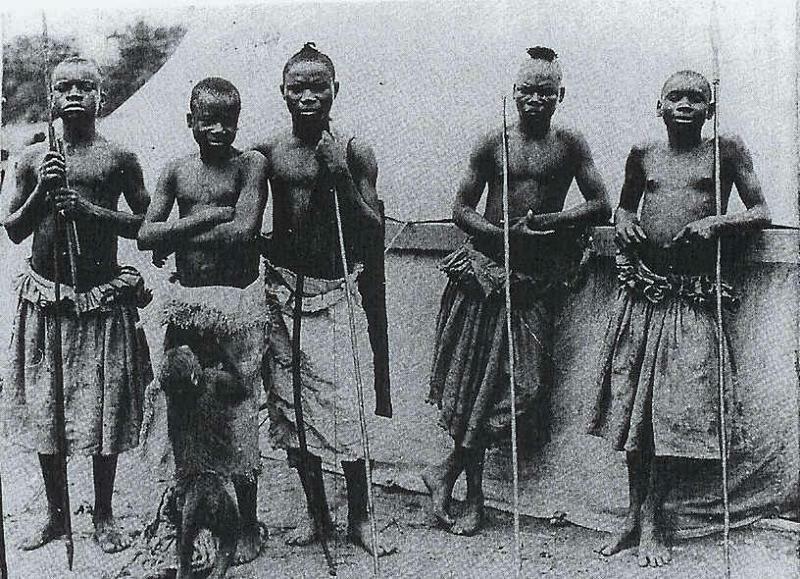 The Louisiana Purchase Exposition, which was planning an exhibit for the St. Louis World’s Fair that would “educate” the public in what was then a racist, pseudoscientific brand of anthropology, had commissioned Verner to find some authentic African pygmies to display as “missing links” in human evolution. Looking at Benga, a lean, very black, very short man with teeth that had been filed into points, Verner knew he had what he needed. He bought Benga for a pound of salt and a bolt of cloth. 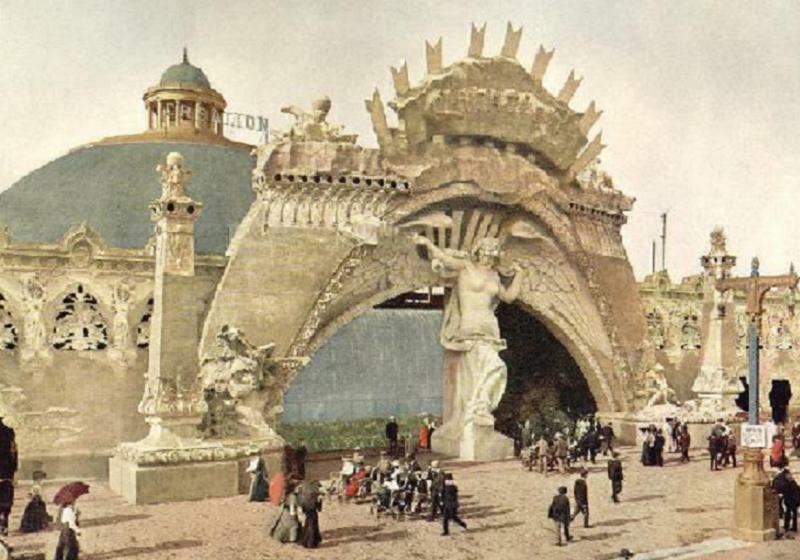 Verner’s brought Benga to St. Louis, where he became the hit of the 1904 World’s Fair. He and the other captive Africans quickly figured out that the crowd wanted to see genuine African “savages,” so they started imitating the dancing and war-whoops they saw the nearby American Indians doing. He made friends with Geronimo and charged interested visitors 5 cents to see his pointed teeth. After the fair, Benga traveled with Verner and even returned to Africa for a short time time. In 1905, he joined another Congolese tribe, the Batwa, and re-married. The marriage only lasted a few months as Benga’s wife died from a snakebite. 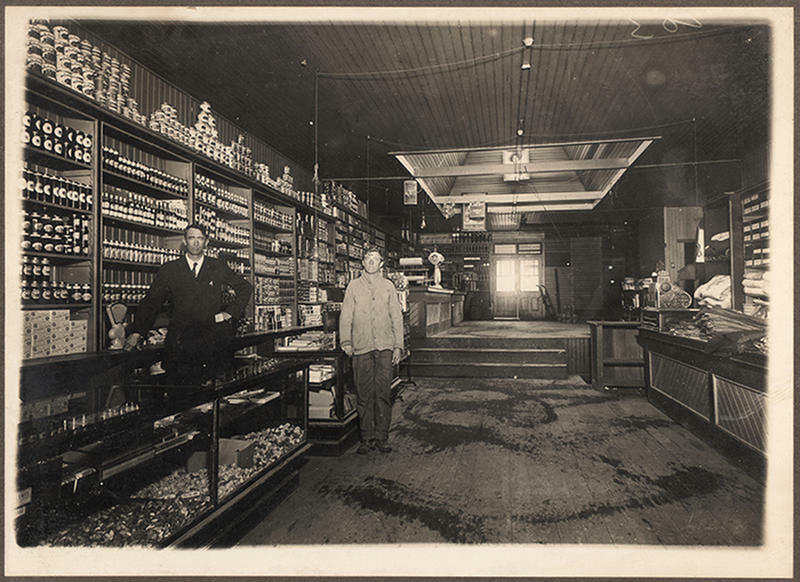 At loose ends again, Benga traveled back to the US with Verner in 1906. 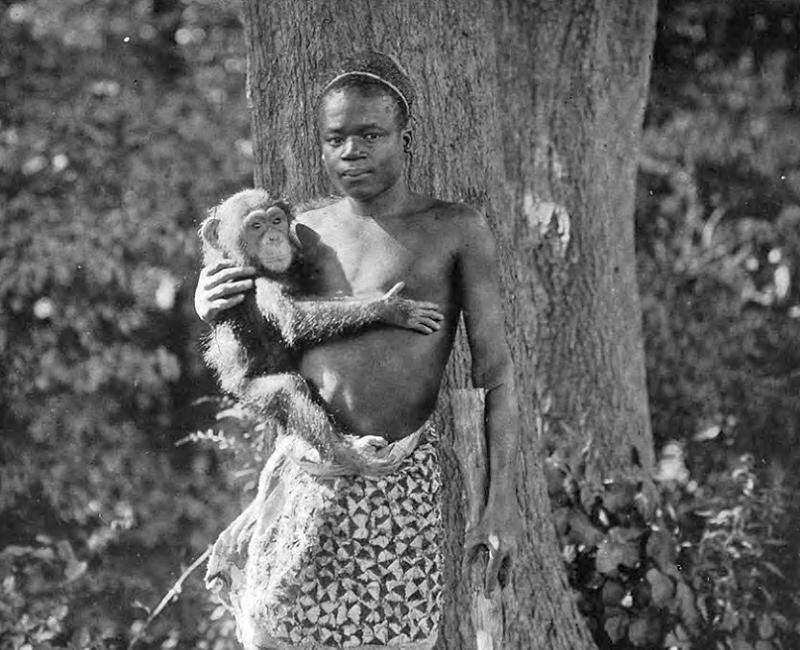 Upon returning to the United States in 1906, Benga’s first stop was a spare room at the American Museum of Natural History, where he again “delighted” visitors by pretending to be a babbling half-human. On one occasion he was asked to seat a wealthy donor’s wife. Benga pretended not to understand and threw the chair at her instead, just missing her. Everybody at the museum liked Benga, but the director refused to pay Verner the salary he was asking for, so eventually the pair picked up and moved to the Bronx Zoo, which was looking to expand its monkey house. Benga was allowed free movement through the zoo grounds, but his hammock was slung in the primate exhibit. He was displayed as part of the New York Anthropological Society’s exhibit on human evolution. 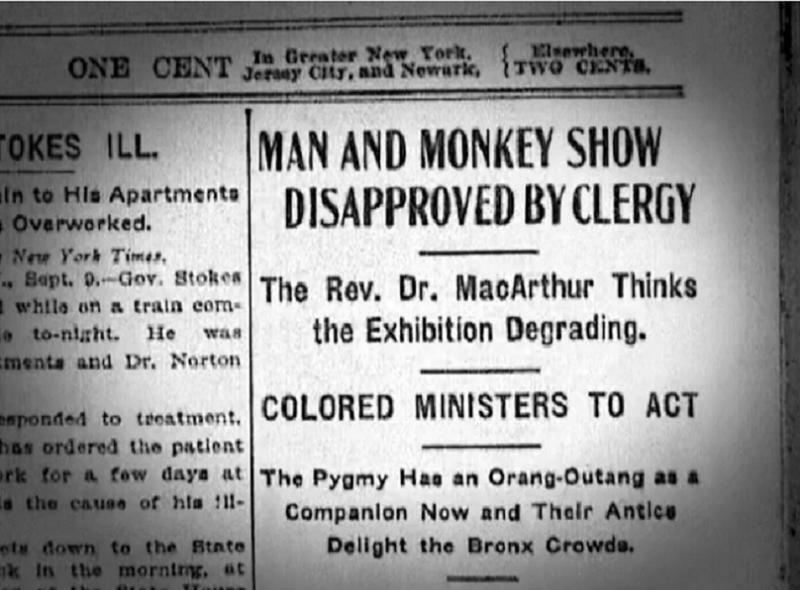 Local black clergy were appalled by the exhibit and demanded Benga’s release, even lobbying the governor to force the zoo to shut down the display. Benga was eventually released into the custody of James Gordon, the minister who had led the charge to free him. He then went to live in Gordon’s black orphanage. Still unhappy with his life, Benga eventually moved to Lynchburg, Virginia, to live with friends of Gordon named the McCrays. Gordon still managed Benga’s affairs, and he seemed to have definite ideas about how the 27-year-old man should live. 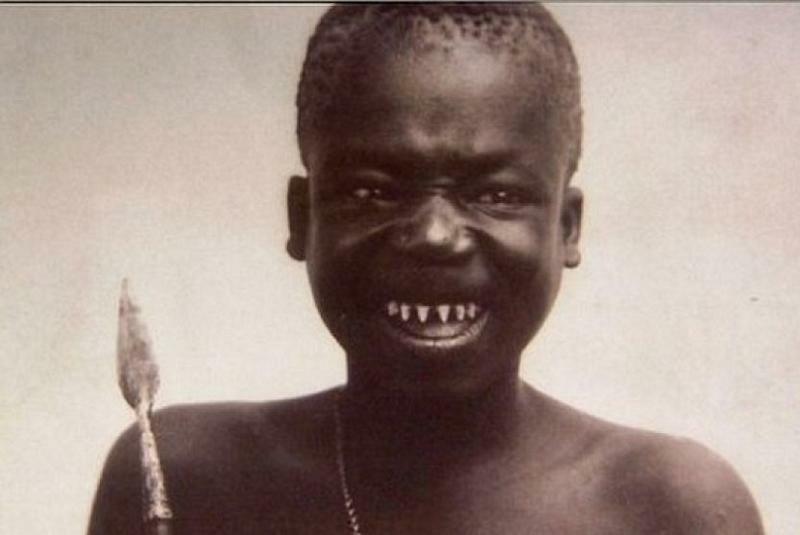 Gordon arranged to have Benga’s teeth capped and enrolled him in a school for non-white children. He also got Benga a job at a local tobacco plant, where he seemed to have been popular and told his story for free root beer. However, by 1914, Benga was planning a final return to Africa. Life in America, he decided, wasn’t for him. With the money he made from the tobacco job, Benga started putting things in order and looking for passage to the nearest port to his homeland. By this time, Leopold II was dead, and the Belgian government had stepped in to clean up some of the mess he’d left behind. Conditions were looking up in the Congo, and it was time to go home for good. But this return passage was not to be. The outbreak of World War I suspended most cross-Atlantic shipping, and the German occupation of Belgium threw the Congo into bureaucratic chaos, with nobody allowed in or out. On March 20, 1916, depressed at the thought of not being able to return home, Ota Benga shot himself in the heart.